Had Cindy and couldn't keep her. 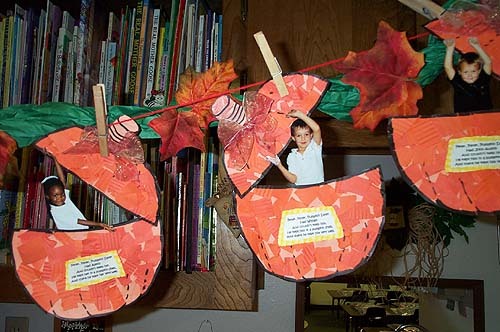 Mrs. Withrow's kindergarteners were posed as if holding up the top of the pumpkin. 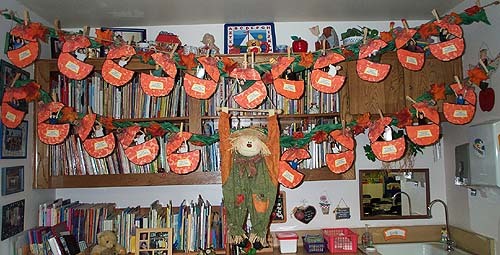 The verse on each pumpkin contains the name of the child. Press "Go" to search for Nursery Rhymes.